After living in Tokyo for two years, it’s only natural that the city and its people started to rub off on me in some way or another. Maybe it’s because we’re told in England that you should ride on the road, but there’s nothing more annoying than somebody impatiently trying to nudge past you on the pavement on two wheels. What’s more, I often walk around with my headphones in, so don’t hear (or purposefully ignore) their incessant ringing of their bells. Now I think of it, it’s quite fun to deliberately hold people up, isn’t it? Not only on bikes, but when people are desperately trying to barge past me in a packed train train station too – when trains come every five minutes! I find nothing more satisfying than slowing down and deliberately holding them up. Sad? Maybe. Mean? Possibly. Fun? Absolutely! Yes, that is an adult’s bike. Anyway, back to bikes. I’ve always thought if it has wheels then it should be on the road; with the exception of prams, of course! This is why I never give way or make room for anyone riding on the path. Stubborn? Me? Surely not! 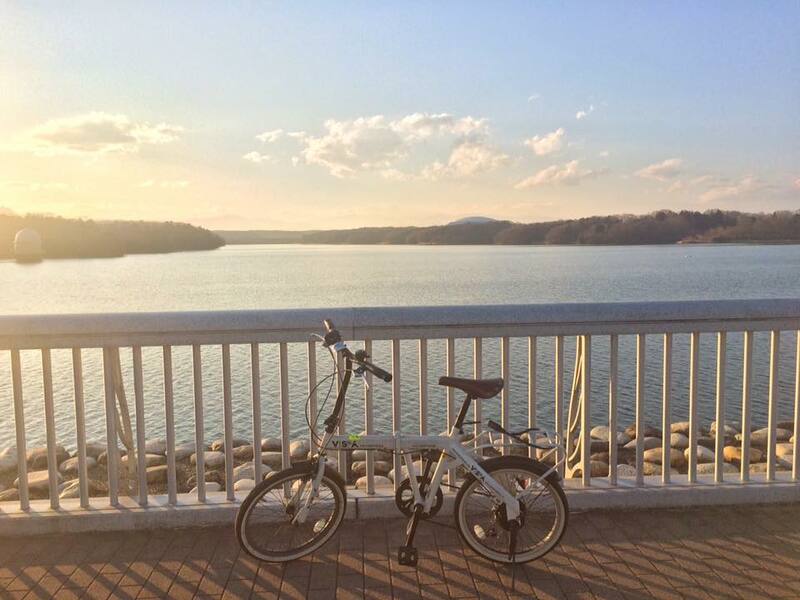 However after riding my bike a lot more in my final few months in Japan, I found myself occasionally riding along the pavement to avoid waiting at red lights, and on some narrow roads it’s often the safer option. Thankfully I don’t mind being a hypocrite, so I can happily carry on doing this whilst slagging off anybody else who does! Now some may claim that this isn’t a new character trait of mine but after living in Tokyo my levels of impatience rose to new heights! 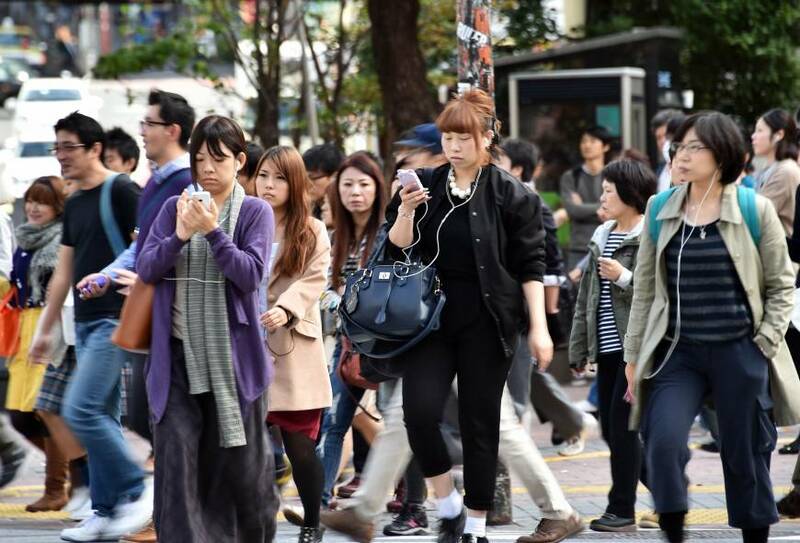 I’ve always been a fast walker, but the fact that the Greater Tokyo area has over 30 million people in it makes it quite difficult to get anywhere quickly on foot! I found myself at my most passive-aggressive in train stations, and it just so happened that I had to pass through the 2nd busiest station in the world five times a week for work. I don’t even want to imagine what my blood pressure chart looked like during the working week. Enough to make anyone’s blood boil! There’s just something about train stations which seems to turn people into dithering idiots incapable of using even the most simple pieces of technology such as a ticket barrier. You touch your card and walk through – how difficult can it possibly be? This goes hand in hand with train stations as it’s often there that you find the worst offenders. Now this list isn’t in any particular order but if it was then this would be the runaway leader as it absolutely infuriates me. I often found myself swearing under my breath or making a fairly visible pissed off gesture towards people aimlessly meandering down the middle of a path because they just can’t wait ’til they’re in an appropriate place to play the next level on whatever this year’s Candy Crush-style game is or send that all important Line message. At least it seems I’m not the only one. …and now I have to include myself in that bracket as I now find that whilst weaving in and out of all the slow walkers I still manage to reply to a message or change the track I’m listening to. If I was trying to justify it, I’d probably say that I don’t slow down and usually do it with the precision of a slalom skier, so I actually don’t affect anyone in the process. Or maybe I should just take my rose-tinted glasses off. Maybe I should rename this piece ‘Stuff That Annoyed Me On Tokyo Trains’. When I first arrived in Tokyo I found myself very confused and amused by the seemingly high regard in which people hold the end seat. When an end seat becomes available, 99 times out of 100 the person on the next seat will shuffle up. I kind of get that, extra room and all that (even though someone will definitely come and sit next to you); but when people actually move halfway across the carriage just to get this little piece of commuting gold…that was lost on me. I later noticed that the seat two away from end, next to the supporting pole appears to be the second choice. Again, I’ve no idea why. Here’s a handy diagram I’ve put together to help you visualise these train tactics. 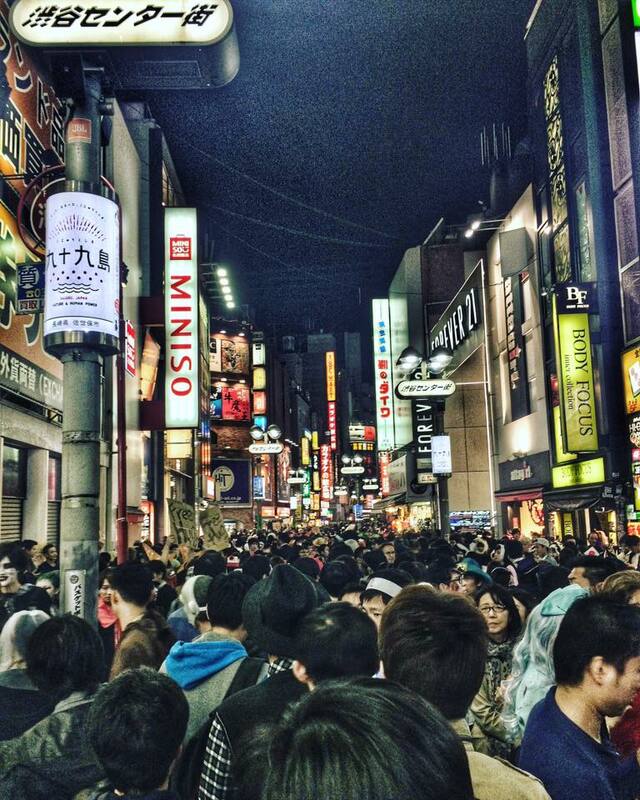 Should you ever find yourself in Tokyo, this should give you a head start, or at least put you on an even keel with the locals during the busy rush hour. Photo courtesy of Wikipedia. Annotations courtesy of yours truly. I still don’t get it. It doesn’t really bother me if I have one person sitting next to me or two. The trains are so packed anyway, so the end seat isn’t any kind of safe haven from other people and their germs (more on that later). So, why did I eventually find myself doing the very same shuffle to the end seat when it became available? I’ll never get to my feet and walk down the train to get one of these precious spots, but if the person next to me gets off and all it takes is a little shuffle of my arse cheeks to get me an end seat then you just know I’m going to jump at the chance! Perhaps most annoying is the fact I have no idea why I or anyone else does this! I’m quite vocal about the whole mask thing. I’m very apprehensive as to the benefits of actually wearing one for a start. I’m not basing this on any medical facts, but just the fact that I’m often the only person on the train not wearing one to prevent a cold, whilst at the same time being the only person not sniffling! Coincidence? Maybe, but let me finish. I’m on one here. Back home, if someone had a cold in public I wouldn’t think twice about it. 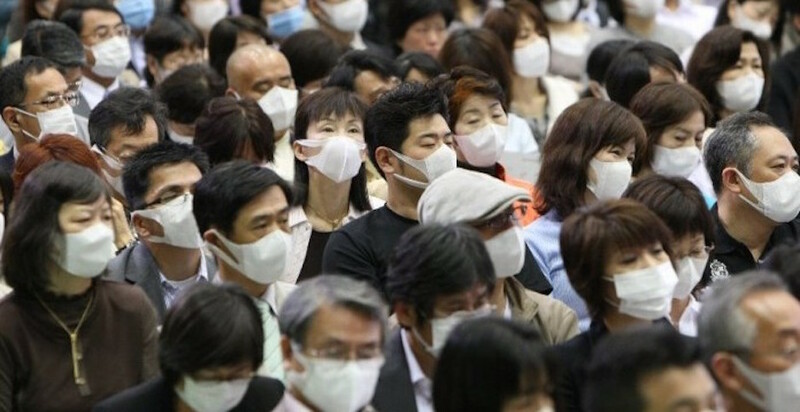 However here in Japan, if I see someone sniffling or coughing on the train I’ll instantly lose respect for them if they aren’t wearing a mask. How inconsiderate of them! I suppose with an attitude like this, you’d expect me to wear one without fail on the rare occasions I’m sick, right? Wrong! In the words of David Brent: hypocrite warning! But I’m sure you guessed that already. I’ve recently discovered that the mask thing isn’t always strictly medical, but why let that get in the way of a good rant? 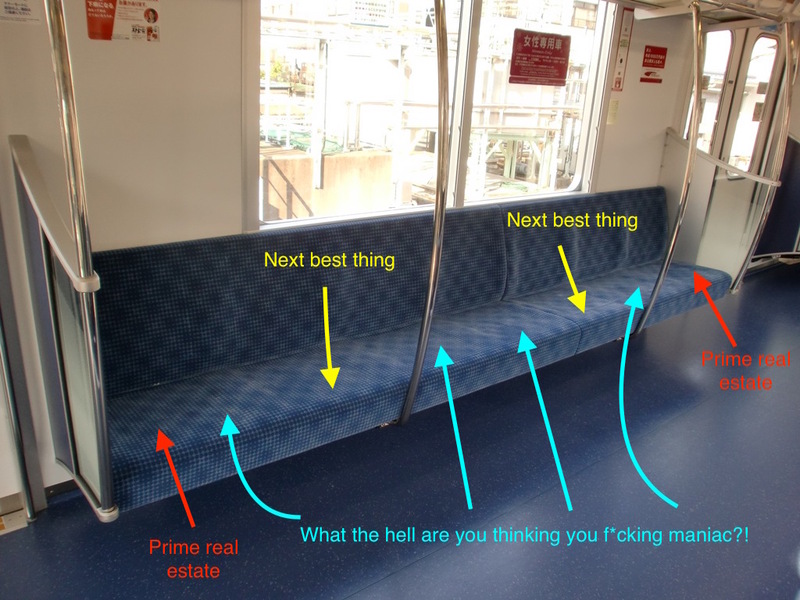 Haha, loved the public transport diagram/explanation. So true. Glad you enjoyed it Sam! Hopefully it’ll come in handy for any future visitors haha!